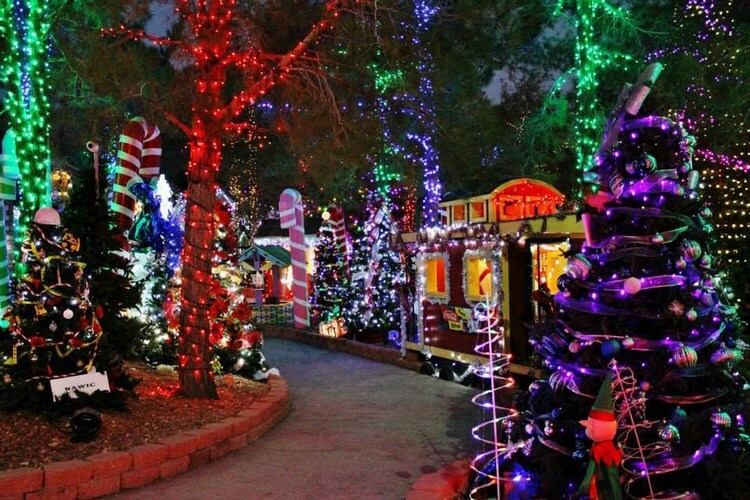 Come and enjoy the holiday season in Las Vegas this December! 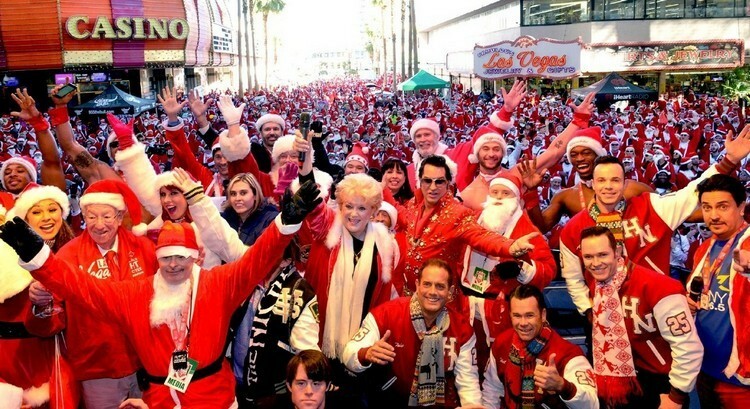 The Las Vegas Great Santa Run is being held on Saturday, December 2nd. We are always trying to beat our record of 11,000-plus Santas, for this Opportunity Village benefit. If you want to participate the entrance fee is $45 for either the 5K run or 1 mile walk for those over age 13, $25 for ages 6-12 and $15 for ages 2-5. The 5K run begins at 10:00 a.m. and the Kris Kringle Jingle 1 mile walk at 10:30 a.m.
You will be given a 5 piece Santa suit to wear, a commemorative medal (which is really cool) and a goody bag. They even allow you to bring your dog for $10 more and will provide you with a treat bag for your friend. Remember to check out the weather to dress warmly if you are walking. The Santa suit does not offer warmth. And a lot of 5K runners actually walk! There is no prize for being the first to cross the finish line. They are having a Stroller Spirit Contest for the best decorated stroller with a prize package valued at $500. You must enter to win it at the FIT4MOM booth before the race. Children under the age of 2 are free; however, they will not receive a Santa suit or medal. Even if you cannot participate it is fun to watch and cheer all those Santas at this event, which begins at Las Vegas Boulevard and Carson Avenue. The 5K run portion ends at the El Cortez Hotel. There will be celebrities, giveaways, food, drinks, and entertainment throughout the day, starting at 8 a.m. with a Zumba class and DJ. And you will run into a lot of Santas inside and outside of the hotels and restaurants. They even have a new Blitzen’s Pub Crawl through Downtown. 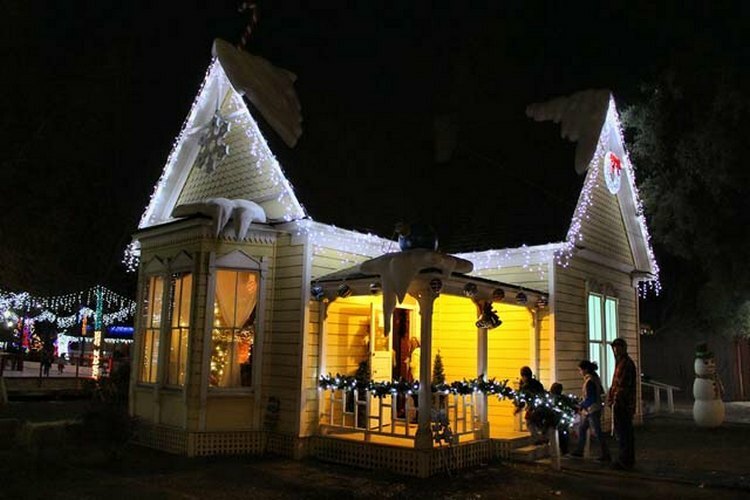 Opportunity Village has another not-to-miss event during December with their Magical Forest, which runs from Thanksgiving until New Year’s Eve (on Oakey Blvd. between Jones Blvd. and Torrey Pines Dr.). Parking is free in the CSN lot just north of the event. The Magical Forest is open every day of the week at 5:30 p.m. Closing time is 10:30 p.m. on Fridays and Saturdays and 9:30 p.m. Sundays through Thursdays. Tickets are $20.50 (Ages 4 to 12) and $23.50 (Ages 13+) and include admission and unlimited rides and attractions, except for the Blastin’ Bear’s Shootin’ Shack. General admission prices are $11.50 and $13.50 for the same age ranges listed above. All prices include the $1.50 service fee. You can also purchase general admission and separate ride tickets. 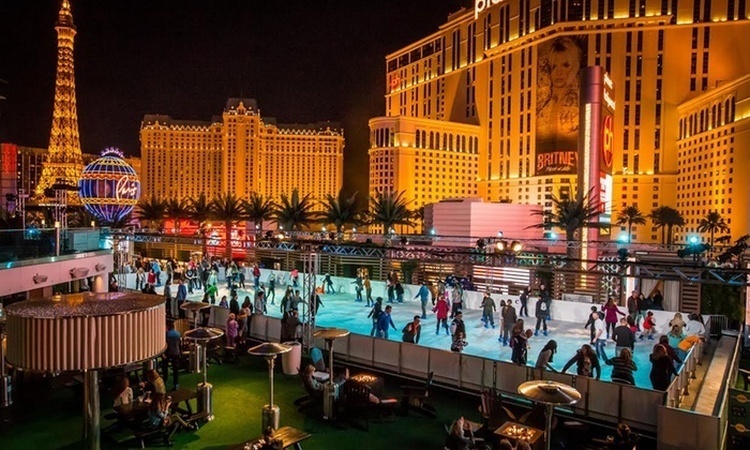 The Cosmopolitan is going all out for the holidays with their annual ice skating rink opening. They will have their tree lighting ceremony at 7 p.m. on December 4th hosted by Kristi Yamaguchi, an inductee into the U.S. Olympic Hall of Fame in December, 2005 and winner of the 1992 Olympic’s ladies singles figure skating platform. Also, that is the beginning of their Date Skate Mondays with holiday movies at 6 p.m. and 9 p.m. And remember, they have “snow” falling every 30 minutes while you are skating or enjoying those hot beverages and s’mores! You can pay to rent their skates — or you can enter for free if you are not skating and just enjoy the skating area and activities. On December 6th the Golden Knights, Las Vegas’ NHL team, along with Chase, their mascot, and the Knights Crew, will do a meet and greet at the rink from 6:30 p.m. until 7:30 p.m. It’s your chance to take photos and get autographs of the first Las Vegas National Hockey team! If you are looking for something to do the Friday between Christmas and New Years’ head on over to Last Friday on Water Street in Henderson between 6 and 10 p.m. The historic downtown will be decorated for the holidays, and you can relax and wander around the arts, crafts, entertainment with live bands, DJ’s, Celebrity Chef Challenges, and food truck areas. Hawaiian honey cone, anyone? 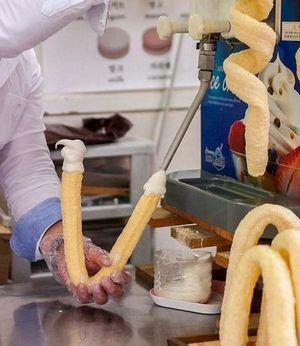 This is an ice cream cone made with 100% organic corn cane and topped with Hokkaido ice cream. December 29th is the date in question and admission is free. Last Friday runs every month, but, this should be a good time to chill out before the excitement of the New Year rings. They do offer a wristband on the day of the event for $30 which includes free sponsored drinks, domestic beer, one food ticket for a food vendor and a desert from any food vendor. There is usually an after party from 10 p.m. until 2 a.m. at a location such as the Ravello Lounge at the M Resort in Henderson which has live entertainment with no cover charge and drink specials. Or the after party might be toned down a bit and moved to the Sunset Pizzeria on Water Street with food and drink specials. Either way, it is a really good time. The Neon Museum and Boneyard Park will be hosting their annual December to Remember on Saturday, December 12th from 2 p.m. until 6 p.m. Until 5 p.m., you will be able to create ornaments and take photos with Santa, and from 5 p.m. until 6 p.m. enjoy caroling and hot chocolate. Reservations are not required for this event, and the admission is free. 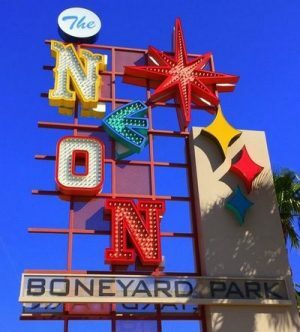 There is also a bonus feature when you attend this event since you can enjoy free of charge the 200-plus vintage neon signs in the Boneyard, which will have holiday lights displayed. (You would normally pay between $15 and $28 per ticket for a 1 hour tour of the Neon Boneyard.) Expect crowds because it is a popular Vegas freebie! When Diamond Jack travels to San Francisco, he enjoys loaves of sourdough bread. In New Orleans, it’s several orders of beignets. And when a new buffet opens in Las Vegas, he is there on opening night. 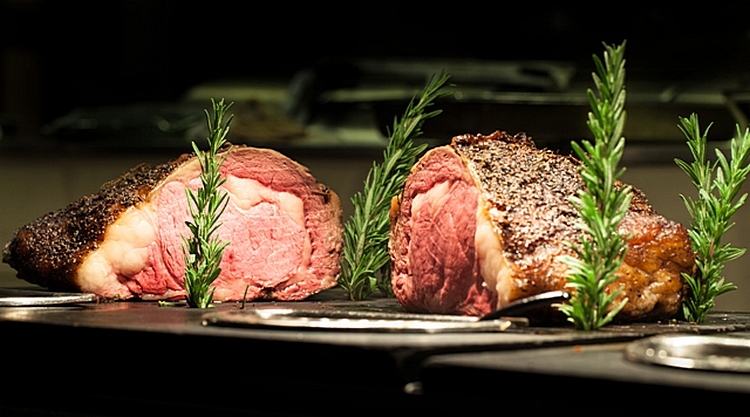 And on opening night of the newly-remodeled Medley Buffet at The Orleans, Diamond Jack was enjoying platters of meat, fish, vegetables, and desserts. A new Starbucks in any other city would just be another Starbucks. But the new 24/7 Starbucks (702-232-1644) that opened at the Grand Bazaar Shops in front of Bally’s on the Strip is not your father’s Starbucks. This one features grandstand seating inspired by coffee terraces found in Europe. It offers all its traditional coffee drinks along with Starbucks Reserve, a special collection of rare coffees selected from small farms from around the world. Additionally, guests can discover new layers of flavor in each freshly-brewed cup of coffee from The Clover Brewing System. And even more flavorful is a cup of cold brew coffee that has been steeped in a container of cool water for 20 hours. A regular cup of Joe? Never again. Green Valley Ranch will be transforming its outdoor amphitheater located in the backyard pool area into a Winter’s Village with an outdoor 6,000-square-foot real ice rink and holiday-inspired activities from Nov. 24-Jan. 7. Upon entering, guests will be greeted with more than 60 decorated trees and holiday music. 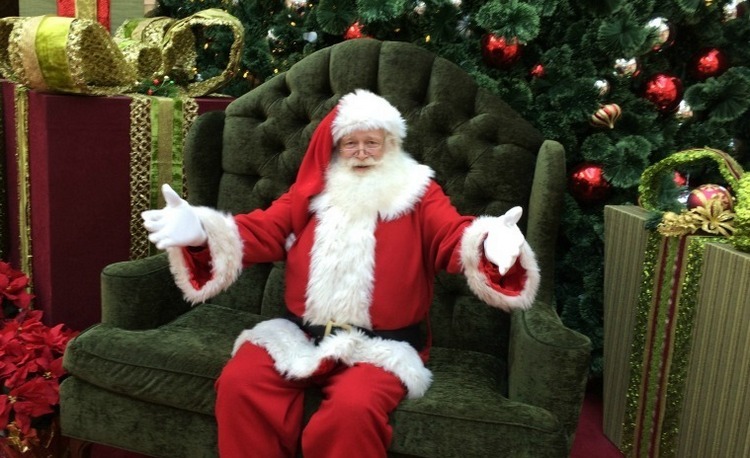 “Saturdays with Santa” will be offered from 2-6 p.m. every week through Dec. 23. Visits with Santa will be free, with photos having an additional charge. Hours will be daily opening at 4 p.m. Monday through Thursday and 11 a.m. Friday-Sunday and running until 9 and 10 p.m. on Friday and Saturday. Tickets are $20 with skate rentals included. A portion of the proceeds will be donated to St. Jude’s Ranch for Children. Wet’n’Wild will be transformed into a Las Vegas Christmas Town from Friday, Nov. 24 to Sunday, Dec. 31. 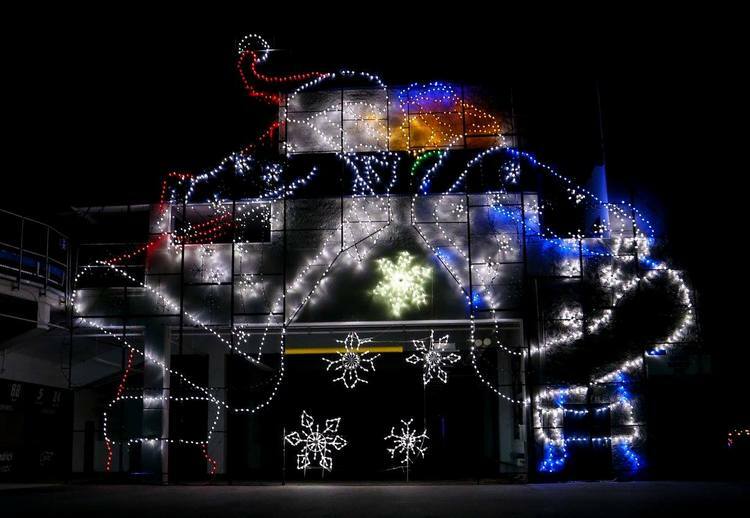 The nighttime winter wonderland will feature entertainment and attractions including an ice skating rink, a 40-foot Christmas tree, 100-foot sledding hill, 40-passenger Polar Express train ride, paintball zone, photos with Santa Claus, nightly snowfalls, more than three million glistening lights and much more. Hours are 5:30 to 9 p.m. Sunday to Thursday and until 10:30 p.m. Friday and Saturday (closed Dec. 24-25). Tickets are $20. Santa Claus has arrived at the Galleria at Sunset mall with his helpers. Through Dec. 24, guests can make hassle-free appointments and purchase a photo package in advance with the Santa Fast Pass, which includes skipping the lines, a $20 Shutterfly gift card, and three calls from Santa. Walk-ups are first-come-first-served. Each Santa photo purchase includes one all from Santa and a $20 Shutterfly gift card. This year, Santa Claus is available for pet photos with cats and dogs only on a leash.